All professionals at Walker Dental maintain the highest levels of accreditation and pursue ongoing education to stay abreast of the latest trends in the medical field. Read on to learn more about our staff's experience and training. 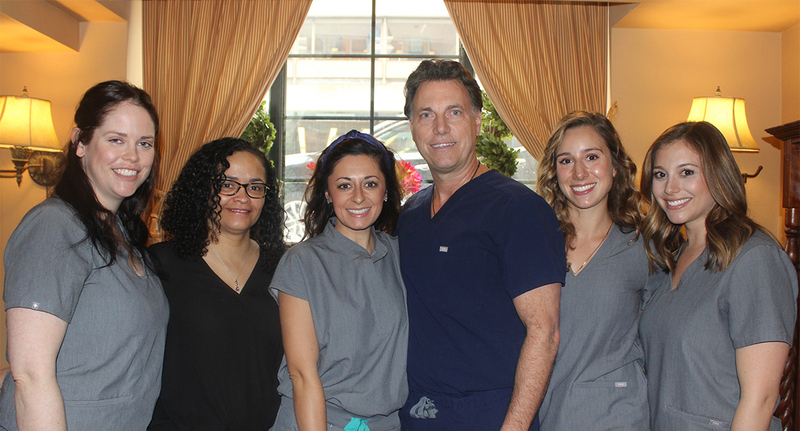 Eric is passionate about creating smiles that increase his patients' confidence level and health. He is dedicated to enhancing patients lives and well-being through comprehensive aesthetic dentistry. He graduated with honors from Tufts Dental School and has been named one of 'America's Top Dentists' by the Consumers Research Council of America. Staying current with the latest technology and advances in dentistry, Dr. Walker is committed to understanding the needs and desires of each patient. He takes great pride in providing the best dentistry has to offer while creating every personalized smile. Dr. Walker has served on many charitable boards and is active in his continuing education. Katie is a Registered Dental Hygienist. She grew up in Mattapoisett,MA in a family of eight siblings. She attended Mount Ida College and graduated in 2009 at the top of her class. Since then she has been committed to preventing dental disease and promoting good oral health to the patients at Walker Dental. Her passion and love for the profession are expressed to each and every patient. She is CPR/AED certified and has her permit to administer local anesthetics. She has experience in working with pediatric, geriatric, special needs and periodontal patients. Her goal since graduating has been to do a mission trip to help people in need of dental care. Katie stays on top of implementing the latest technology in dental hygiene for the patients here at Walker Dental by attending Dental conferences and taking continuing education courses. Marissa Nicole Pescatore is a Registered Dental Hygienist. She has been with Walker Dental since 2011. She graduated Mount Ida College, in Newton, MA in 2009 with an Associate of Science Degree in Dental Hygiene and began working as a Hygienist while continuing to complete a Bachelor of Arts and Science degree in General Studies in 2011. Marissa is CPR/AED certified and also has her local anesthesia permit. She always strives to provide the best quality dental care while ensuring advanced comfort for her patients. She is focused on continuing to expand her skills and knowledge in the dental field by attending dental conferences and taking coursework. Her easy going personality allows her patients to relax and she enjoys getting to know her patients individually, whether they be pediatric, geriatric, periodontal, or special needs.